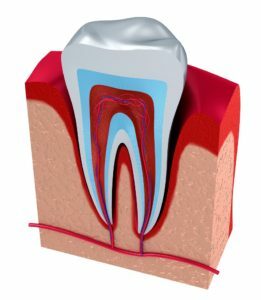 The point of endodontic treatment, or root canal treatment, is to address a tooth infection that has become so severe, the nerves and soft tissues of the tooth have been affected by it. This tissues rest in the pulp chamber, which lies at the center of the tooth’s main, most dense structure (dentin). However, it might also be recommended to prevent such an infection if your tooth has become fractured and broken severely enough to expose the pulp. Tooth infection, or tooth decay, is progressive, and in most cases, it’s detected and treated in its mild to moderate stages. The cavity that forms from the decay can be filled with a tooth-colored, biocompatible material, stopping the decay and restoring your tooth. However, in cases of internal infection, a filling isn’t enough. Your dentist will have to clear out the infected tissues as well as the infected tooth structure, and then fill the pulp and root canal as well as the cavity in the dentin. Many patients who experience internal tooth infection consider extracting the tooth to be done with the pain. However, doing so just raises further concerns related to the tooth loss, and the need for more extensive treatment to replace it. By contrast, saving the tooth with root canal therapy enables you to regain your bite function, alleviate your tooth discomfort, and preserve your healthy, natural tooth. Endodontic (root canal) treatment can provide a convenient and minimally invasive way to relive severe tooth infection, as well as the debilitating toothaches that come with it. To learn more, schedule a consultation by calling Modern Smile in North Hollywood, CA, today at 818-763-9353. We also proudly serve patients who live in Burbank, Toluca Lake, and all surrounding communities. We are happy to announce that we have recently upgraded our office with Itero 3D Color Digital Scanner! No more messy impressions. 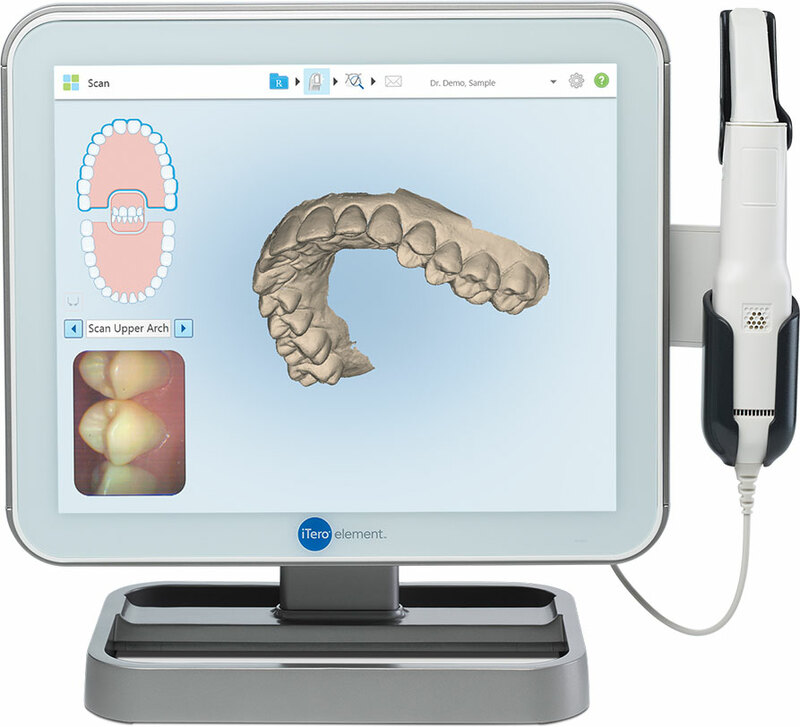 The Itero Digital Scanner is an intraoral scanner that creates a 3D model of your mouth by capturing 6000 frames per second to create a high precision simulation of your teeth and gum tissue. The scanner is so accurate that it can virtually replace those messy and uncomfortable impressions. Itero scanner makes it easier and faster to capture impressions for things like crowns, bridges, implant crowns and Invisalign clear aligners! It can also create a diagnostic cast model of your dentition for digital record keeping. It comes with the industry-leading 3D technology which makes it easier for your provider to show you exactly what can be done in your treatment and even show what your teeth will look like once the treatment is completed! Here at Modern Smiles state of the art facility in North Hollywood we strive to give our patients a more comfortable experience through using latest technological advancements in dentsitry. Our doctors stay up to date with latest advancements in orthodontic and imaging technology so you can have the best possible results. Call us today at (818) 763 – 9353 or book online to schedule your complimentary consultation! We are pleased to announce that Modern Smiles is now offering medical aesthetic services that focuses on facial and body rejuvenation with non-invasive procedures such as Dysport, Botox, Dermal fillers (i.e. juvederm, restylane) and Rejuvapen Micro Needling facials to treat scars, acne scars, lines, wrinkles, and stretch marks, and to improve skin texture and tighten the skin. These services can enhance the appearance of your smile and boost your confidence in a short and painless appointment. You are cordially invited to Modern Smiles for a talk on medical aesthetics by Dr. Raheleh Sarbaziha (Rahi) on October 25th at 6 pm (6-8 PM). Light refreshments and Hors d’oeuvres will be served. 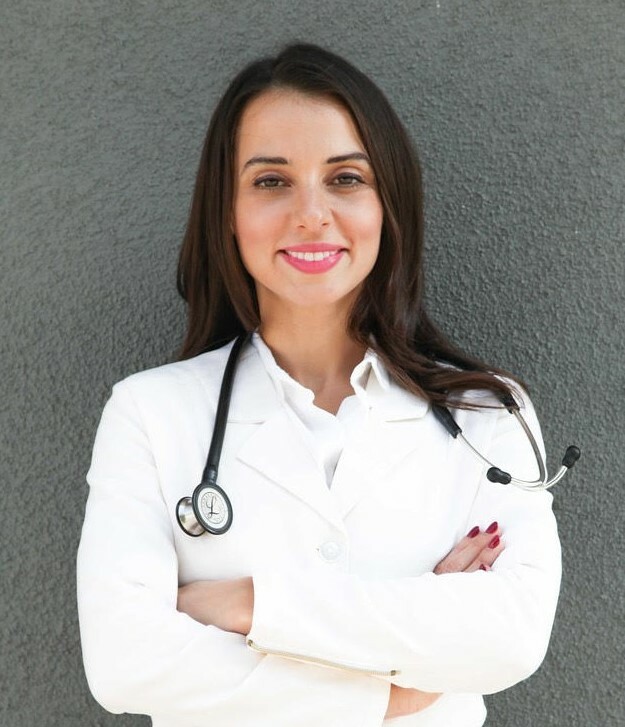 Dr. Rahi is board certified in Internal Medicine and completed her post graduate training program at the University of Southern California. Dr. Rahi’s philosophy is that health and beauty start from the inside out. She believes that with the combination of lifestyle changes, supplements, Eastern and Western Medicine you can achieve your optimal health. 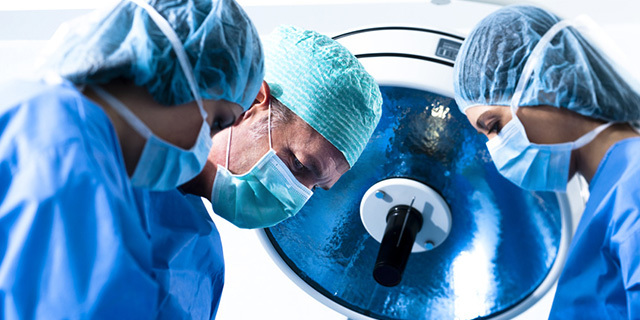 Dr. Rahi’s focus is providing the most noninvasive approach to healthcare with each patient receiving a unique and individualized treatment plan. Please stop by to learn more on this growing area of medicine and have all your questions/concerns answered! We will also be doing a raffle for a free Rejuvapen facialtreatment and one area of Dysport or Botox cosmetic treatment. 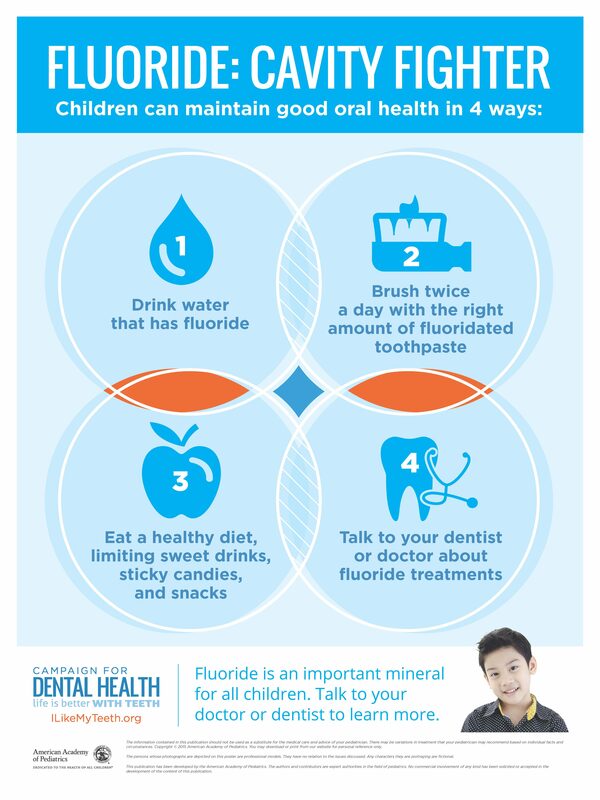 Patients who are at higher risk of developing caries may benefit the most from Fluoride treatment. 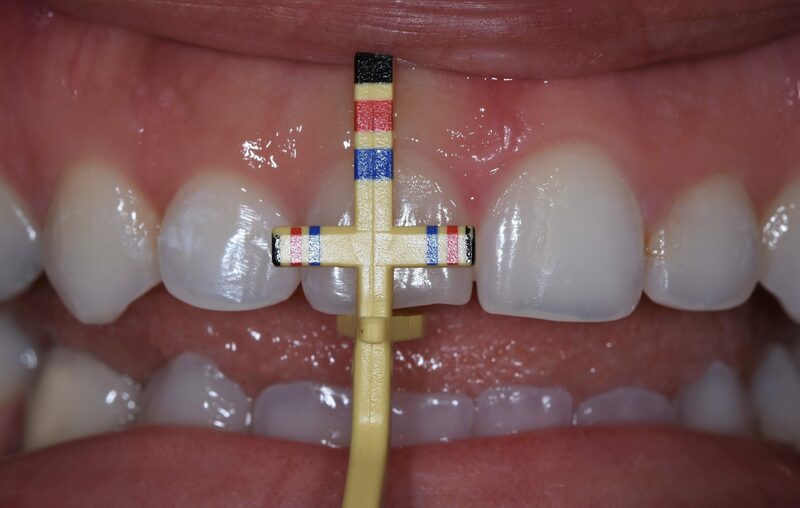 There are a considerable amount of reserach data proving caries reduction as a result of professionally applied topical fluoride varnish treatments of four minutes or more. Fluoride varnish applied every six months is effective in preventing caries in both primary and permanent teeth. Two or more applications of fluoride varnish per year are effective in preventing or arresting caries from developing in susceptible teeth. 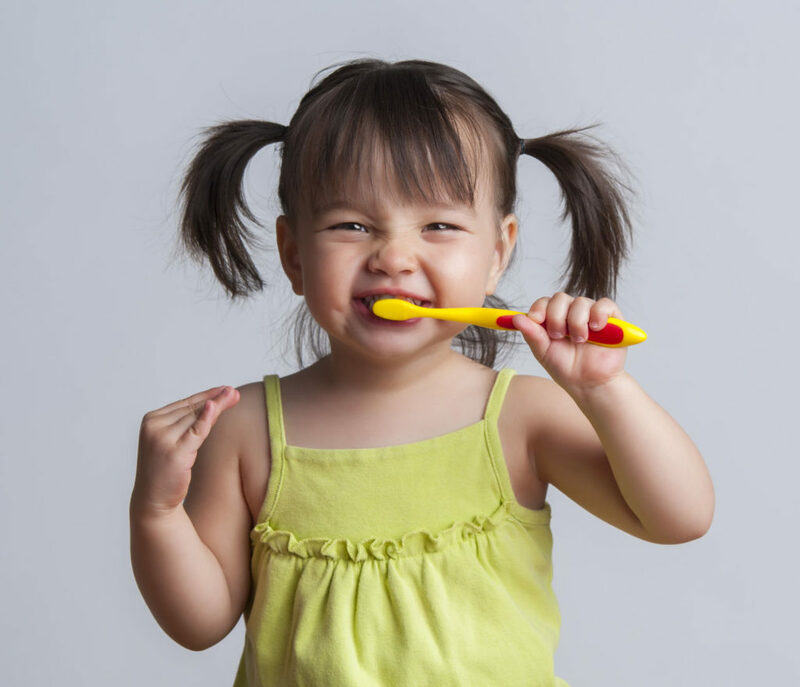 From the evidence presented it was determined that Fluoride Varnish treatment is most beneficial to people with moderate to high risk of caries. High risk is defined by combination of factors such as previous history of tooth decay, presence of multiple incipient or cavitated primary or secondary carious lesions during the last three years, low saliva flow or other factors such as smoking and diabetes. Here at Modern Smiles Dental Office in North Hollywood, our goal is to prevent our patients from ever reaching moderate or high risk categories. Proper oral care with periodic periodontal maintenance in conjunction with good home care and Fluoride treatment can lower your risk for caries and periodontal disease. Furthermore, topical fluoride applications can be applied to treat hypersensitivity in some patients, especially when large calculus deposits are removed during scaling and root planing (Deep Cleanings). To learn more about how Fluoride treatment can help maintain your healthy and beautiful smile get in touch with us at Modern Smiles in North Hollywood either online or by calling 818.763.9353 today. Invisalign Adult, Teen and now offering Invisalign Express for those who need minor corrections at half the usual price. Oral Surgery Services such as Wisdom Teeth Extraction for Erupted, Partially Erupted, or Impacted 3rd Molars. If you are interested in any of our comprehensive dentistry services we have specialists in our office to meet all of your needs ranging from preventive checkups to Impacted Wisdom Teeth extraction and Sedation Dentistry. We see patients of all ages, so your entire family is welcome. 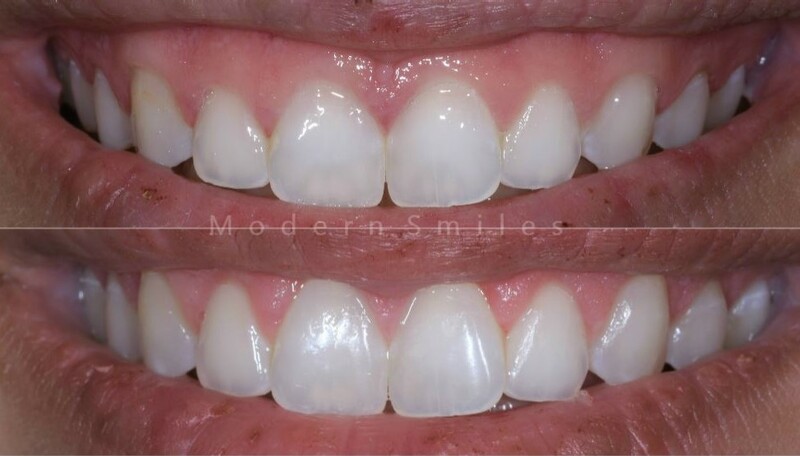 For more information or to schedule your next visit, call Modern Smiles in North Hollywood, Ca, at 818-763-9353. At Modern Smiles Dental Spa in North Hollywood we are accustomed to preparing our patients for the wedding season and give their smiles a boost before the big day. We want your smile to be just as ready for all the pictures and videos that will be taken as your makeup and dress. Therefore, each season we help both grooms and brides obtain that picture perfect smile that will be remembered for years. 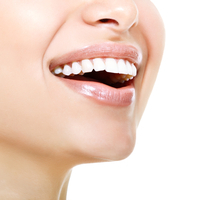 There are some very quick and simple treatments that can be done to help improve your smile. If you are simply concerned about the color of your teeth, the fastest and most cost effective way is our professional single appointment teeth whitening. We offer two different types of whitening methods at our dental office in North Hollywood: BioLase Laser and Zoom!® teeth bleaching. The Biolase laser uses an special laser activated whitening gel that is the most effective and newest technology designed to lighten your teeth to the shade you desire without the sensitivity common with some of the more traditional methods. Clinical studies have shown that Biolase Laser can perform a full-mouth whitening procedure with an average of 6-8 shades improvement in 20 minutes of treatment time with long lasting results! Zoom!® teeth whitening treatments are also an in-office treatment and very effective at removing tea, wine, smoking, coffee and natural aging process stains that accumulate on your teeth over the years. The main ingredient of this gel, Hydrogen peroxide, penetrates deep in the outer and inner layers of the tooth to erase tough stains and whiten your teeth 3-4 shades in an hour. Zoom and Laser are both ideal methods to whiten your teeth when in a time crunch. We also include a complimentary full mouth polishing and cleaning with each of our in-office whitening treatments to give you the best result possible. 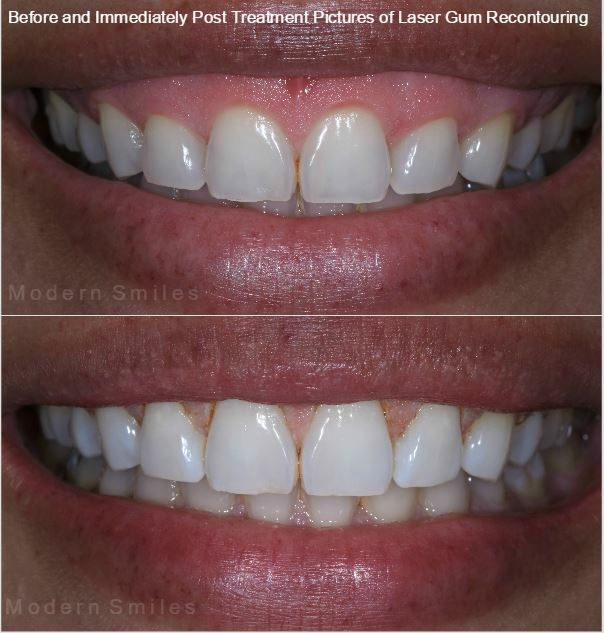 Additionally, if you are concerned about a gummy smile, we can use our specialized dental laser to reshape and recontour your gum line in as quick as half an hour with almost no post surgery bleeding or swelling. The results are a significant improvement in the length and appearance of your own natural teeth that transforms your smile. Combine this a whitening treatment and you practically have a brand new smile in a single appointment! Check out our Yelp, Instagram, Facebook or online smile gallery to see some amazing before and after photos of our smile transformations.